These solid linen tablecloths are designed to be wrinkle and stain resistant and feature a seamless design with serged edges. Because these fabric table cloths are made of durable polyester, they are machine washable and can be used countless times. 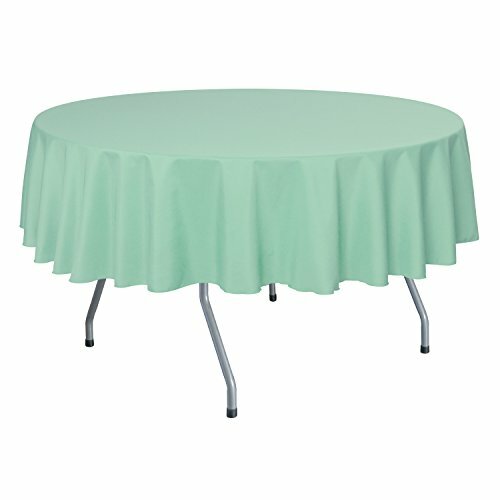 The Mint Light Green 70 Inch Round Polyester tablecloths are an excellent choice for your wedding, party, home dining, Christmas and Thanksgiving dinners and other special events.